These are first come first serve as there are only a few available in this discontinued edition at this price (see check availability below). 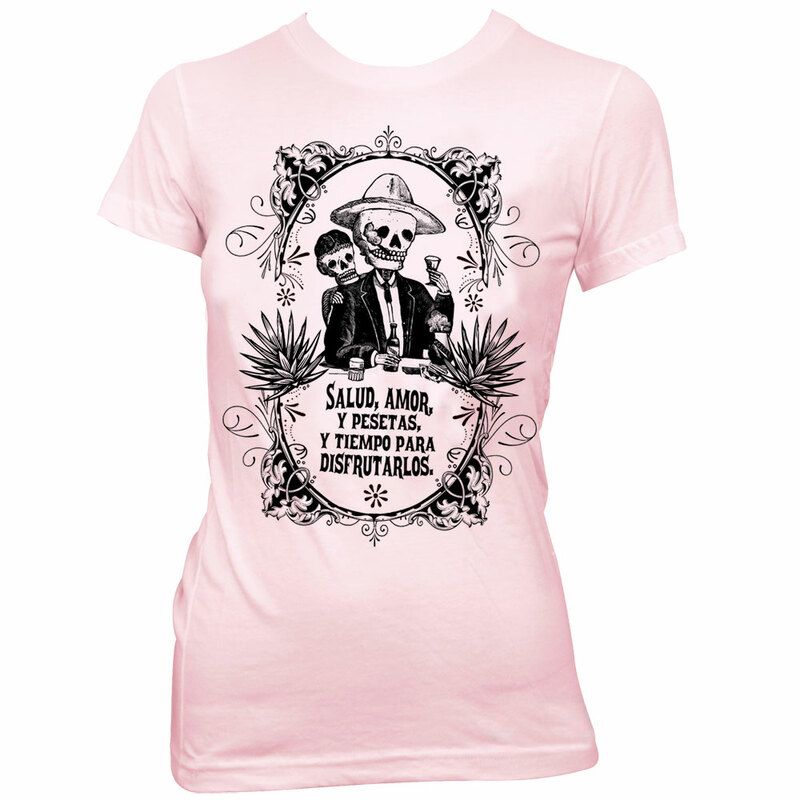 Calavera Fiesta features a design of mine based around a late 1800's illustration of Manuel Manilla. The illustration suggests a calavera couple enjoying some tequila. The quote "Salud, Amor y Pesetas y Tiempo Para Disfrutarlosis" is a tradional Spanish toast meaning "Health, love, and money and the time to enjoy them". 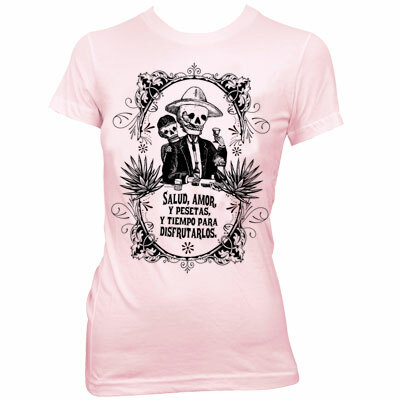 The design is printed on a short sleeve 100% Fine Jersey cotton in Light Pink. This shirt is similar to a conventional menï¿½s t-shirt, but has been carefully tailored for a more contoured look. One of the softest, smoothest, best-looking T-shirts available. Form-fitting. This shirt can fit snug if you are unsure of the appropriate size we recommend you order the next size larger.